A simple tutorial helps you learn how to draw a line chart and increase you possibilities of understanding and work more effective with our Line Chart Software. Creating line charts is one ideal way to show trends over time. 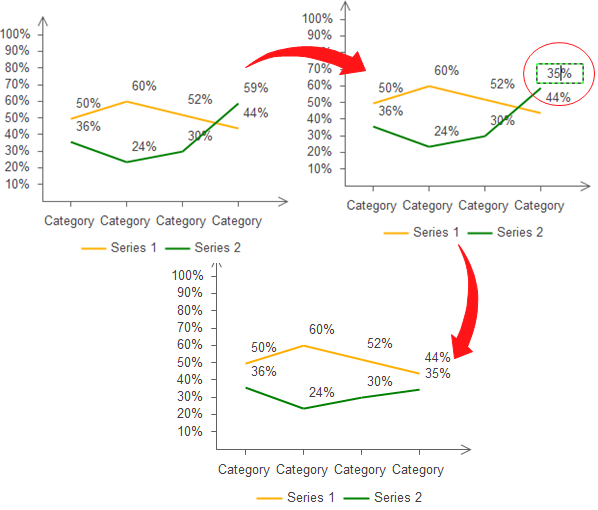 It displays data as a series of points connected by a line. This type of chart is best suited for showing data for a large number of groups. 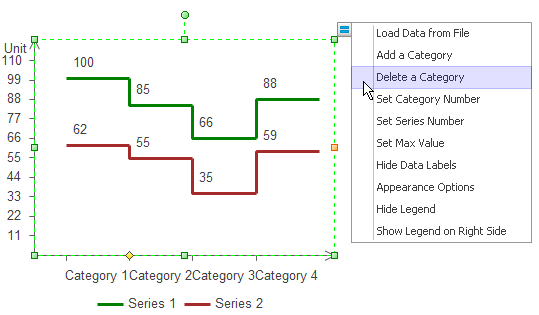 View the video tutorial about how to create a line chart in minutes. Open the Line Chart Template from the Chart library. Drag the shape from library to start your line charts. Then you can experience the easiest way to edit line chart - just point and click. Place the pointer over the shape and a floating button will appear. Move the pointer over the floating button to show the menu. You can change the shape in many ways through this easy editor. When you complete the line chart, You can also export it to MS Word, Excel or PowerPoint with one click. Press the export button on the q	uick Access Toolbar. 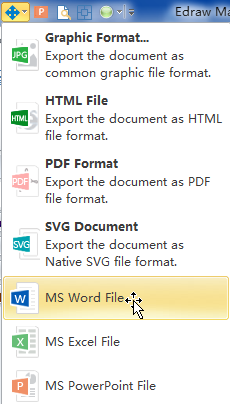 The exported line charts in Word, Excel and PowerPoint are still editable. You can modify them anytime you want. There are several factors to consider when creating line charts. To gain the optimal line chart, carefully consider the nature of raw data, the analysis of the data, the preferences of the target audience, and software or resources available. It is critical to think about the nature of the data to be presented. Line charts are usually applied to show the trend of data sets. More specifically, line charts show how data changes over time. It is advisable for one to consider whether a line chart can represent the data best before creating it. If a line chart is exactly the best tool for displaying the data, the next factor for consideration is the intended audience. Teachers, engineering managers and businessmen may have different expectations and demands. Generally, easily readable labels on the axes and neat, precise construction are optimal. Software packages can be used for creating a line chart quickly to save time and effort. Modern statistics programs like Edraw offers a variety of services that extend beyond the construction of the line chart itself. It can produce color line charts and infographics line charts with markers. For professional work, Edraw charting software package is one of the ideal options because of its added sophistication in data analysis and the enhanced presentation.